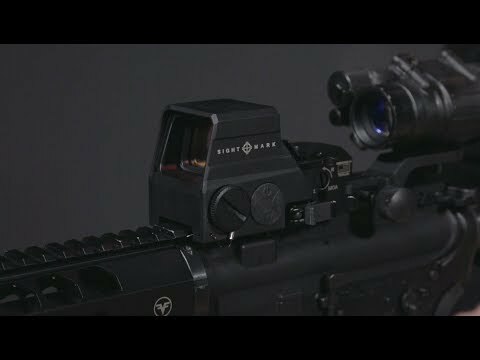 The Ultra Shot R-Spec (Advanced Spec) Reflex Sight DE is a reliable close-range optic perfect for target shooting to law enforcement and military operations on both AR and shotgun platforms. The R-Spec features an anti-reflective, scratch resistant lens with 10 brightness levels, slotted windage and elevations adjustments that can be changed with a flathead or a common tool. R-Specs are IP55 water resistant and feature tough aluminum alloy housing and protective aluminum shield.